Romance is in the air all over Toronto! Spice up your routine, celebrate a special occassion or find the perfect place to meet a cute new Tinder match. These awesome date ideas will make your partner feel special, no matter what your budget. …without necessarily breaking your budget either! Whether you’re on a first date, celebrating an anniversary or it’s just a Tuesday with bae, these Toronto date ideas will make sure you two spend some quality romantic time together! Check out these saucy restaurants, explore the Distillery District, get the low down on the best brunches, and take a look at these local things to do for even more Toronto date ideas that are sure to impress! Take a ferry, get out of the city, and you’ll find that the Toronto Islands are ripe with places to explore! From chasing each other through the hedge maze, to stripping down in the sand at Hanlan’s Point clothing optional beach, there are so many date ideas in one small space. Renting a tandem bike to zip around the islands is definitely the most romantic way to see it all! Stop by a grocery store on your way there, bring food from home to show off your cooking skills or go all in and get some refined takeout at Agora Greek Market & Cafe. Whatever you’re eating sitting in the grass of the park is the perfect way to pass a sunny afternoon, whether you’re practically married or just getting to know each other. If you two get a little restless, walk around and window shop in the surrounding Trinity Bellwoods area for a full day of free fun, then check out the awesome bars on Ossington Ave! Woodlot: a cozy Little Italy spot offering menus both vegetarian and meat-based menus made from local ingredients in a wood-fired oven. Warm and welcoming, it’s the perfect place to relax, feel at home, have a glass of wine and a good chat. Frankie’s Italian: is the east end’s sleek neighbourhood joint for pasta and pizza. They serve old classics, reimagined, and make a sweet negroni. Plus, $10 pasta specials mean you’ll be able to eat well on a special night out without a hefty bill weighing you down. Boralia: serves food inspired by Canada’s history. It’s a unique culinary experience that’s sure to give you something to talk about. Treat yourselves to a Carte Blanche adventure and let the chef pick your multi-course meal, making sure you’ll get the best of the best. If you want to soak in even more culture, this list of ‘tourist attractions’ is designed with locals in mind for the most definitively Toronto date ideas. The Walton: a timelessly beautiful cocktail bar that also makes for a good coffee date destination. Bar Isabel: a decadent Spanish restaurant that’ll bathe you in a warm red glow. It’s the perfect place for a late night meal that’s romantic to the utmost. LoPan: DaiLo’s upstairs speakeasy-style cocktail bar with Chinese-inspired bar snacks. Plus there’s many more gorgeous spots around the city. Mahjong Bar is Little Portugal’s hidden gem. Fronted by a neon-lit convenience store it’s all boozy sensuality once you’re inside. BarChef, meanwhile, is a dimly lit hideaway that caters to the most elegant crowd. It’s cocktails that are out of this world – just take a look for yourself – making it the perfect place to celebrate a special moment together. 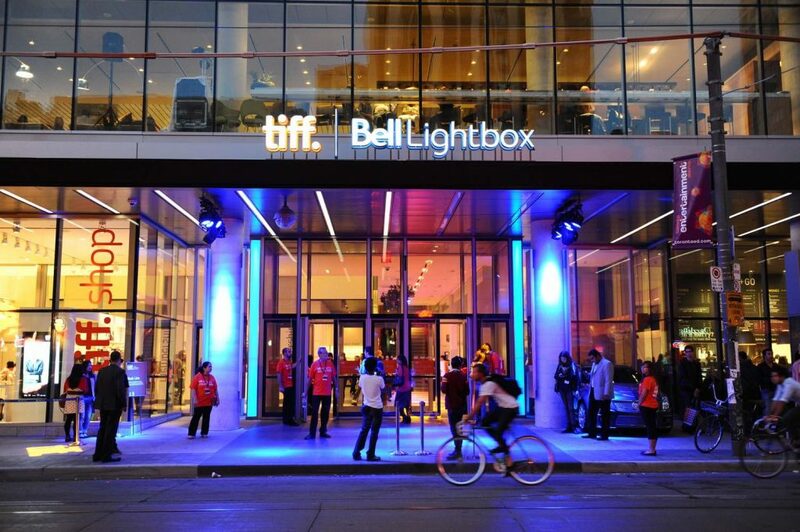 Going to the movies, another classic date night, but the TIFF Bell Lightbox gives it a twist by delivering a top-tier movie selection. Screening festival circuit favourites, old classics on 35mm film, and international titles you might’ve never heard of, it’s a movie theatre experience for film buffs and adventurers alike. Plus, in surrounding Downtown Toronto date ideas will practically land in your lap, so don’t hold back and make a day of it! Everyone says that laughter brings us closer, that’s why seeing a show at Second City is one of our favourite Toronto date ideas. It’s important to test out if you two share a sense of humour in the early days, and simply sit back for entertaining night of comedy at its best once you’re more in the groove. Second City does various nightly shows from improv to sketches, or maybe you two can take a comedy class there to really solidify those bonds. 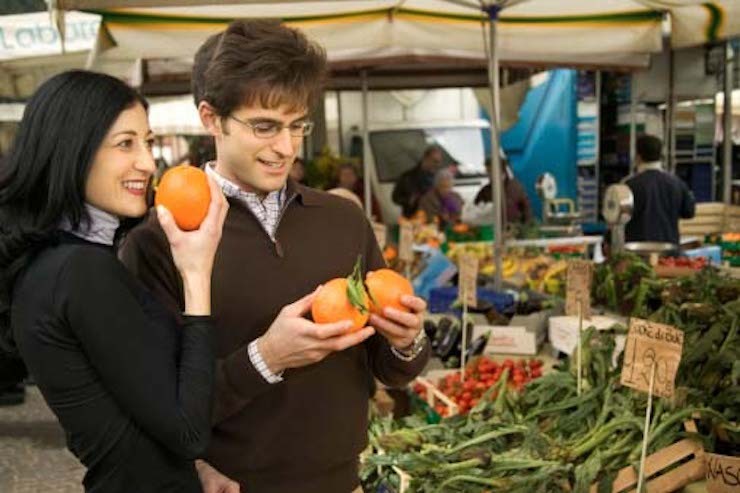 There are farmers’ markets all over the city from north to south and east to west, so we’re sure you’ll find one near you. The biggest one, however, pops up on weekends at Evergreen Brickworks in the Don Valley. Bring some reusable bags and your chef hats, shop around, take a stroll through the parkland and pick up fresh goodies to prepare at home. Make a night of cooking a fresh meal together and dancing around the kitchen with a glass of Ontario wine. Now that’s romance at its finest! On the edges of Toronto date ideas get a bit more bold. Putting Edge is one of many extreme adventures that you’ll find… indoor skydiving, anyone? At this glow in the dark mini-golf experience, though, you two will travel the planet, dive into the deep sea, blast up to space and enjoy some friendly competition that’ll really strike up a connection! Plus there’s an arcade to keep the fun going. One more perk of Putting Edge: you can now get to the Vaughan location by subway thanks to the latest yellow line extension! Mmmmelt in your mouth goodness is all over the city. Grabbing ice cream is a quick date idea that can be both casual and romantic, all at once. 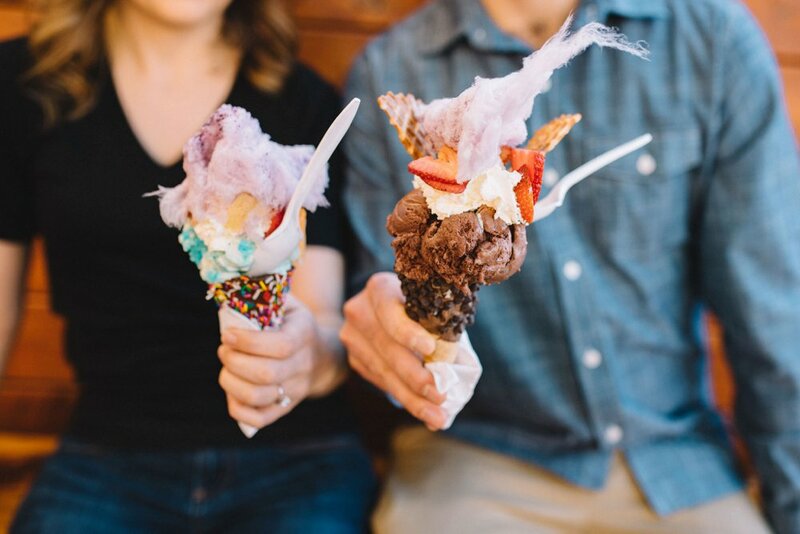 Bring your sweet-loving partner to one of these unique spots for a cool treat that’ll make them have the hots for you! Wong’s Ice Cream: is a modest Riverside spot serving unique Asian-inspired flavours that include vegan and gluten-free options. Get yours in a cone or a cute Chinese takeout box! Dutch Dreams: has been around for a while, and is a pro at serving deliciously loaded cones with a sense of family-run charm. The shop’s eclectic, trinket filled interior is a delightful conversation starter! Arctic Bites: hop on the latest ice cream trend! This frozen thai creation is frozen on a -20C “grill” and rolled up right in front of you with your favourite toppings mixed, sprinkled and drizzled on to make for a colourful and delightful indulgence. Have a romantic getaway within the city at The Broadview Hotel. Pretend you’re tourists exploring Toronto for the first time (or maybe you are?) and go out and explore the gems of the surrounding Riverside and Leslieville neighbourhoods. If you’re already familiar with the east end scene, or need a break from the city, stay in and enjoy the hotel’s luxurious suites. You can order room service from their Café + Bar or dine in their exquisite restaurants such as The Rooftop, which boasts stunning views of Toronto’s skyline. 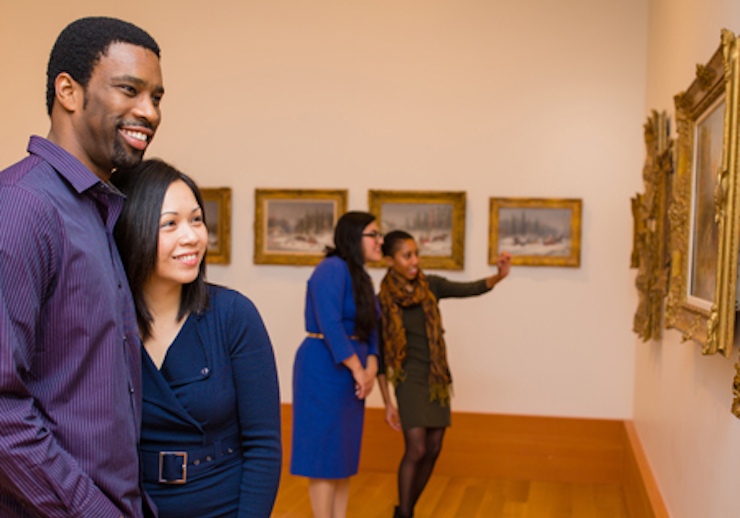 With all these amazing things to do in Toronto date ideas aren’t hard to come by! 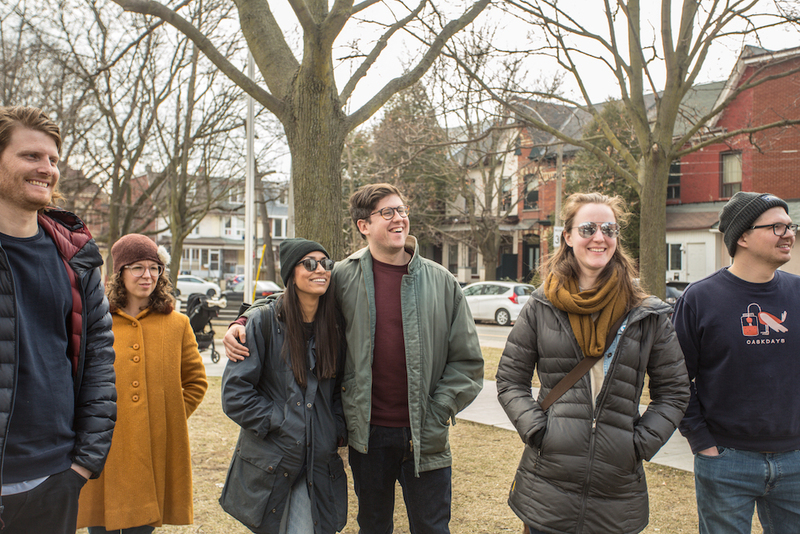 Keep exploring even the most low-key neighbourhoods, such as Cabbagetown, and you’ll never know when you stumble on the perfect things to do with boo.